This week on Open Air, KALW’s radio magazine for the Bay Area performing arts, host David Latulippe talks with actors Stephen Spinella and Randy Harrison about their roles in the current Berkeley Rep production of Tony Kushner’s Pulitzer Prize- and Tony Award-winning play Angels in America: A Gay Fantasia on National Themes. 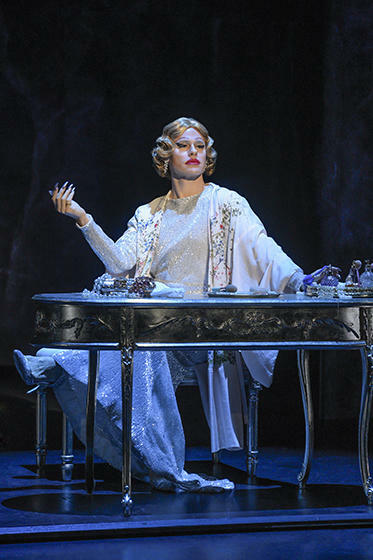 Stephen Spinella and Randy Harrison play the parts of Roy Cohn and Prior Walter, respectively, in this two-part drama. Directed by Berkeley Rep’s artistic director Tony Taccone, this new production of Angels in America marks the first time that the play returns to the Bay Area in a major production since 1994. 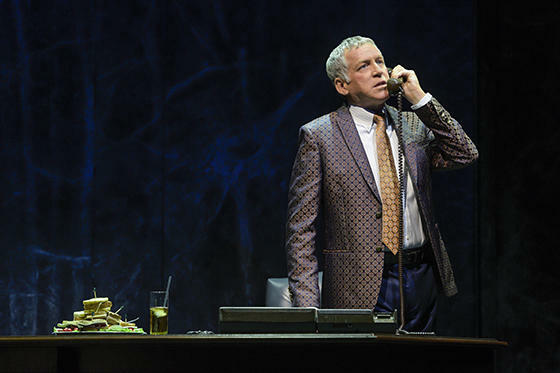 Angels in America runs through July 22 at the Berkeley Repertory Theatre (2025 Addison Street) in downtown Berkeley. In a related segment, David has a conversation with writers Isaac Butler and Dan Kois, authors of The World Only Spins Forward: The Ascent of 'Angels in America’ - a comprehensive oral history of the creation of the landmark history play of Tony Kushner. When Kushner's play hit Broadway in 1993, it won the Pulitzer Prize, swept the Tonys, launched a score of major careers, and changed the way gay lives were represented in popular culture. The 2003 HBO adaptation starring Meryl Streep, Al Pacino, and Mary-Louise Parker won multiple Golden Globe Awards and eleven Emmys, and introduced the play to an even wider public. Now, on the 25th anniversary of that Broadway premiere, Isaac Butler and Dan Kois offer the definitive account of Angels in America in the most fitting way possible: through oral history, the vibrant conversation and debate of actors (including Streep, Parker, Nathan Lane, and Jeffrey Wright), directors, producers, crew, and Kushner himself. Plus, we talk with Michael Feinstein, Ambassador of the Great American Songbook, who is in town to celebrate the fifth anniversary of Feinstein’s at the Nikko, his nightclub at the San Francisco Hotel Nikko (222 Mason Street), which presents a wide range of entertainers from stage and screen within an intimate 140-seat cabaret setting. 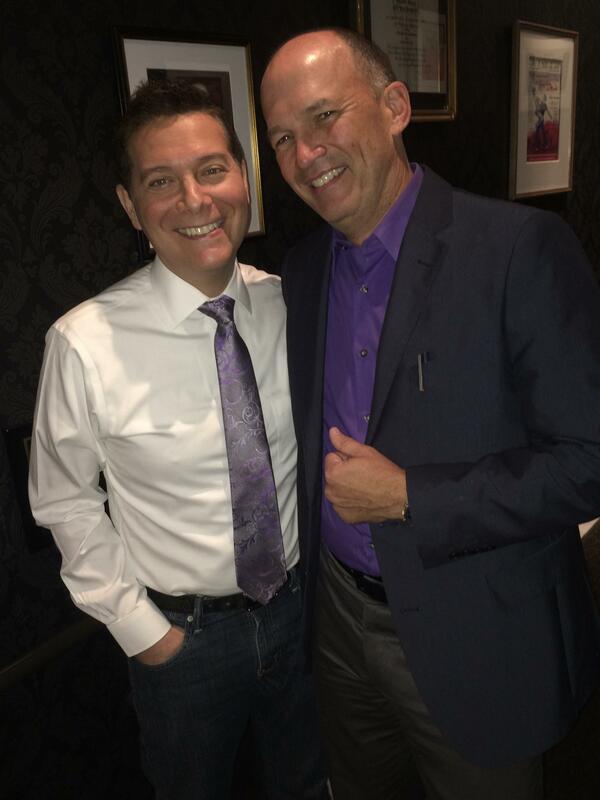 With two Emmy and five Grammy Award-nominations, Michael Feinstein has built a career over the last three decades bringing the music of the Great American songbook to the world. He returns to San Francisco with an all-new show featuring an eclectic mix of classics, as well as some contemporary surprises. Performances are on Wednesday, May 16 (7pm); Thursday, May 17 (8pm); Friday, May 18 (8pm); Saturday, May 19 (8pm); and Sunday, May 20 (5pm). For $120 - "The World Only Spins Forward - The Ascent of Angels in America" by Isaac Butler and Dan Kois: The book is the complete oral history of Tony Kushner’s masterpiece, timed for its 25th anniversary and now playing at the Berkeley Rep directed by artistic director Tony Taccone. Interviews with more than 250 actors, directors, producers, and creatives involved in bringing this epic to life - a moving account of the AIDS era, essential queer history, and an exuberant backstage tale.